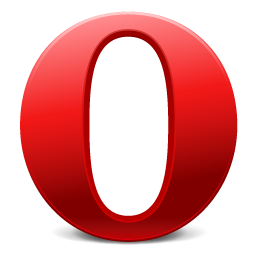 Opera released the final version of their popular mobile internet browser, Opera mobile and Opera mini. The new Opera mobile 10 and Opera mini 5 have very similar looks and options. 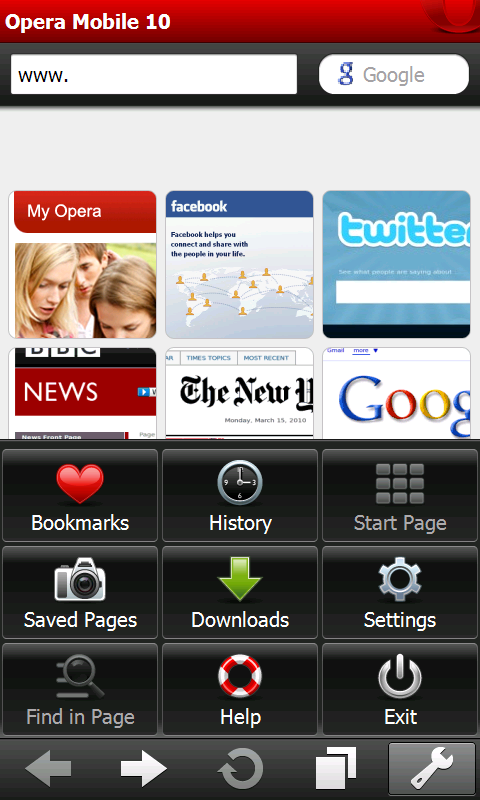 Opera mobile was earlier a shareware application designed for Symbian and Windows mobile smartphones. However, it’s completely free from version 10. Opera mini, as usual is free but has support for new devices. Opera mini 5 and Opera mobile 10 final comes with a set of cool additional features. The browsing is much faster and easier. The default mobile browser in few handsets is slow and incompatible with certain type of web pages. Opera technology reduces the bandwidth requirement and makes the web faster on mobile devices. People with low-end handsets can now enjoy the full web browsing experience with Opera mini 5.0. One thing in which Opera mini and Opera mobile 10 differs is the technology used to process web pages. In Opera mobile the pages are loaded on the phone itself. Whereas in Opera mini 5.0, the pages are first loaded to Opera server and then to a user. Opera has partnerships with several hardware manufactures to ship Opera mobile with high-end smartphones. A similar customized version of Opera mobile is available in HTC’s Windows mobile handsets like HD2. But inbuilt device features like multi-touch and pinch-zoom will not be available if upgraded to Opera mobile 10. It comes with Flash Lite 3.1 support, that enables users to watch Flash animations and videos embedded in websites. But this features is not enabled by default as it requires higher memory resources. The Flash Lite in Opera mobile 10 can be enabled by turning ON plugin support in advanced settings. As we said earlier, Opera mobile uses a different technology to process pages. In Opera mini 5, web pages are first loaded to Opera server, and then transformed to lighter version suited for lower-end mobile devices. On the other hand, Opera mobile uses Opera Turbo to speed up mobile web pages. But this process is done on the phone itself. Opera Turbo will compress the size of images and other files so that speed will be increased and data charges will be reduced. The main difference of Opera mobile from Opera mini is the availability of Turbo, bigger size of the installer, small number of compatible smartphones and option to enable Flash Lite. 1. 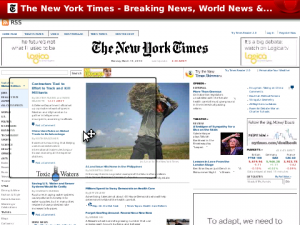 Tabbed browsing: Opera mobile 10 and Opera mini 5 supports tabbed browsing. Users can open multiple web pages at the same time and move through them using a simple menu at the bottom. 2. Speed Dial: It can be used to customize Opera browser start page with quick links to favorite websites. 3. Full sized web pages on the small screen with option to zoom, minimize, etc ., using touch and physical input. 4. Opera Link: Opera link can be used to sync browser bookmarks, favorite search engines in Opera mini and Opera mobile to other phones and Opera desktop browser. 5. Option to save websites and passwords, block images, enable full screen mode, add favorites are among other features. One missing feature in Opera mobile 10 and Opera mini 5.0 is capability to play flash videos by themselves. At the same time, there are browsers like BOLT and Skyfire with support for on screen web video and audio streaming. Opera already released dedicated Opera mini 5.0 installers for Android (beta), Windows mobile(beta), Blackberry, Symbian and Java enabled handsets. They are also working on an iPhone version of Opera mini. Overall the final version of the most popular mobile browser is very impressive. But still we are waiting for a version with native Flash video and music playback support.